Are you going to the Hentiesfees?? Well we got something planned for you on the 25th of August 2018. 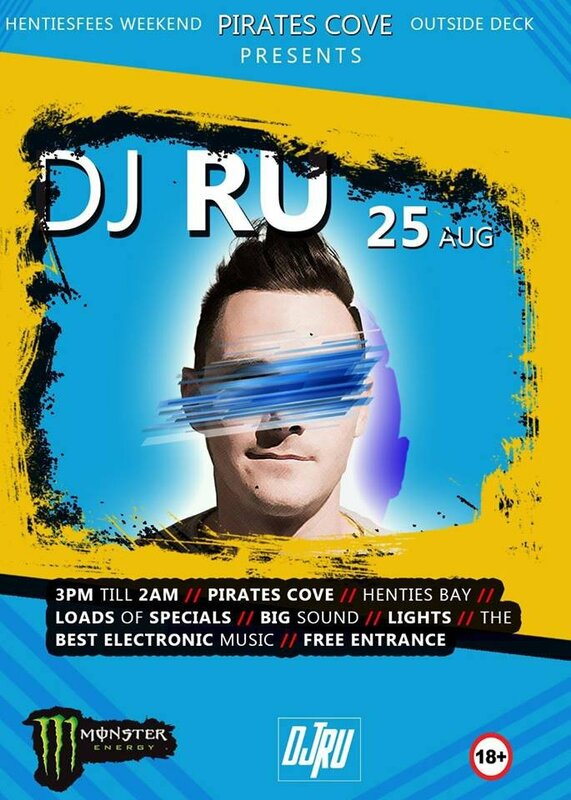 Supported by monster energy, pirates cove will be having DJ RU from Windhoek on the decks bringing you some nasty beats all night long. The party starts at 3pm!!! There will be loads of specials running through the whole night. Big sound and amazing lights to compliment the vibe and give a nice club kinda feeling. For those who been to one of these parties at Pirates Cove, we have decided to change it up a bit, we are removing all the tables under the deck from 6pm to give you a dancefloor. If you want to sit , the deck has more than enough chairs and tables. So grab your party shoes and lets party!! !